Mimikatz provides attackers several different ways to store credentials from memory and extract them from Active Directory. One of the more interesting tools provided is the MemSSP command, which will register a Security Support Provider (SSP) on a Windows host. Once registered, this SSP will log all passwords in clear text for any users who log on locally to that system. In this post, we will explore this attack and how it can be used by attackers to elevate their privileges. An attacker has compromised a member server as a local Administrator, but has limited rights to move laterally throughout the domain. An attacker has compromised a domain controller as a Domain Admin or Administrator, but wishes to elevate privileges to an Enterprise Admin to move laterally across domains. 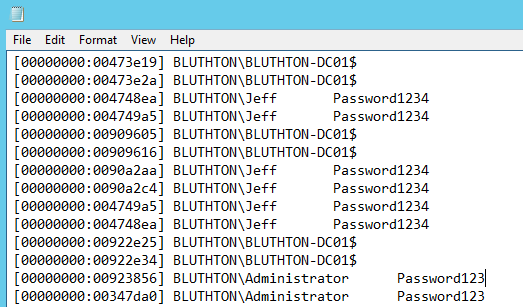 An attacker has compromised a domain controller as a Domain Admin using a pass-the-hash attack, but wishes to leverage the clear text password of the admin to log into other applications such as Outlook Web Access or a remote desktop connection. In any of these scenarios this attack can be very effective. Performing this attack is very simple. 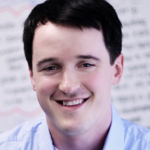 For this post, let’s focus on the attacks that target a domain controller. Let’s assume we have compromised a Domain Admin account and wish to inject a malicious SSP into memory. All we need to do is issue the misc::memssp command within Mimikatz. Now the SSP is injected into memory. If the DC is rebooted, it will be lost and have to be injected again. This can be solved by registering a DLL as an SSP that is provided with Mimikatz. Once the SSP is registered, all users who log on to the DC, and all local services will log their passwords to the c:\Windows\System32\mimilsa.log file. That file will contain the clear text passwords for all users who have logged on and service accounts running on the system. This can be a difficult attack to detect. Looking for the existence of the mimilsa.log file would be a good check to run on DCs to see if any compromise has already taken place. The following PowerShell will connect to every domain controller in the current domain and check for the existence of the mimilsa.log file. Hopefully, this comes back empty. The best prevention is to limit and monitor all Domain Admin members to prevent those accounts from compromise by an attacker. To sign up for the Mimikatz blog series, please click here. 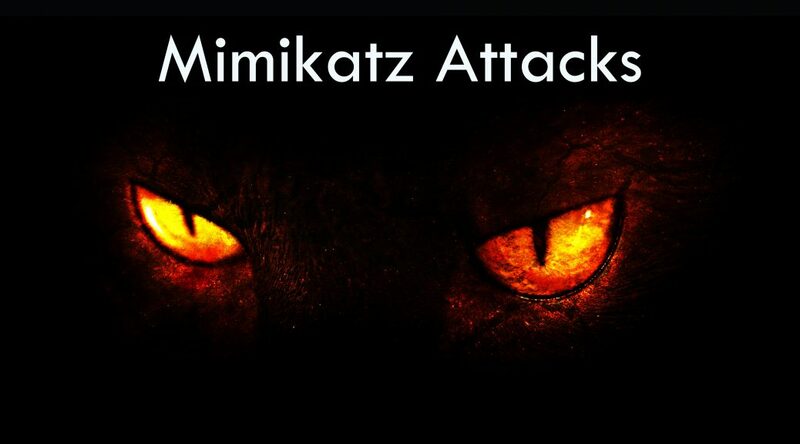 To register for the Mimikatz webinar, please click here. Thanks for sharing this informative post. I haven’t heard about this attacks before. But, it is very harmful and stealing all the windows users credentials. Thanks for awarning from this attacks.